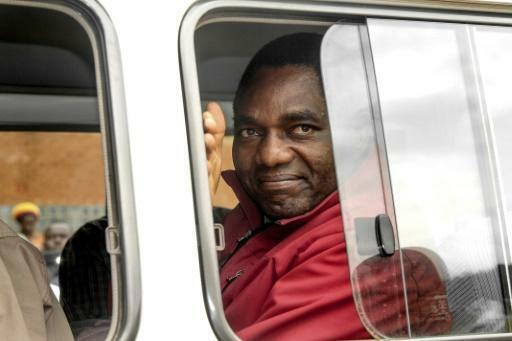 Detained opposition leader Hakainde Hichilema is due to appear in court today on treason charges, amid reports that the PF regime will drop the fake, trumped up charges and set him free. HH was arrested four months ago leading to heightened political tensions in the country. He has been held without trial due to Edgar Lungu’s dictatorship. The PT regime has however banned members of the public including journalists and members of HH’s political party from attending his trial and giving him solidarity. On Sunday, HH was moved from Mukobeko maximum prison which was fast turning into Roben Island to another dirty prison in Lusaka to facilitate today’s court appearance. The Watchdog is urging HH’ supporters to ignore PF ban but instead go and give solidarity to their leader. Hichilema, who has refused to conceded defeat from last year’s sham presidential elections, has been in custody since April over an incident when he allegedly failed to give way to Edgar Lungu’s motorcade. A lawyer from his United Party for National Development (UPND) told AFP that the party expected the charges to be dropped and for Hichilema to walk free. “They don’t have a case against him. We are certain that he will come out tomorrow,” the party lawyer, who declined to be named, told AFP on Sunday. Earlier on Sunday, a government source (Amos Chanda) told Reuters that HH could be released in line with a deal brokered by the Commonwealth. Lungu invoked emergency powers in July, increasing police powers of arrest and detention after he blamed opposition parties for a string of arson attacks.